Have you been struggling with long-term physical conditions that just don’t seem to improve? Are you looking for a new way to manage your health and lifestyle concerns because so many other approaches have failed? Then come and see me, Tony Muratori, a fully qualified and experienced CHEK Practitioner on the Northern Beaches. I will develop a custom CHEK program for you that will revolutionise the way you feel. CHEK is not a quick fix, rather a long-term, customised approach to corrective exercise that will have you feeling stronger and healthier every day. The CHEK approach can offer you a real and sustainable solution if you’ve been suffering from any of these health conditions. CHEK offers real support by getting to the root cause of your pain and discomfort. The customised program I create for you will help to alleviate the pain, create balance within and give you long-term relief. I’ll be with you every step of the way, motivating you to keep at it. The results will astound you – you’ll feel more energised and free to move each day you work through your program. If you’re ready to live without pain and restriction again, get in touch today on 0417 218 755, or click here, to book your free initial session. The CHEK Methodology was founded 30 years ago by Paul Chek, a Holistic Health and Exercise Specialist. CHEK stands for: Corrective, Holistic, Exercise, Kinesiology, and is a treatment philosophy focusing on corrective exercise and high-performance conditioning to alleviate current and long-term physical conditions. Taking a holistic view, I follow CHEK foundational principals of health to deep dive and reveal the underlying causes of your discomfort, pain or niggling injuries. Often an aching back can be a sign of an unstable core or a strained shoulder the sign of a repetitive strain hand injury. CHEK gives me the tools to conduct a full-body diagnostic and then create your custom exercise, diet and lifestyle strategy that will get you feeling great again. As a CHEK practitioner, I fill the gaps often left behind by other health and fitness solutions. You’ll find working with me will change your life in a profound way. CHEK begins with a comprehensive holistic assessment of your whole body, revealing the root causes of your pain. 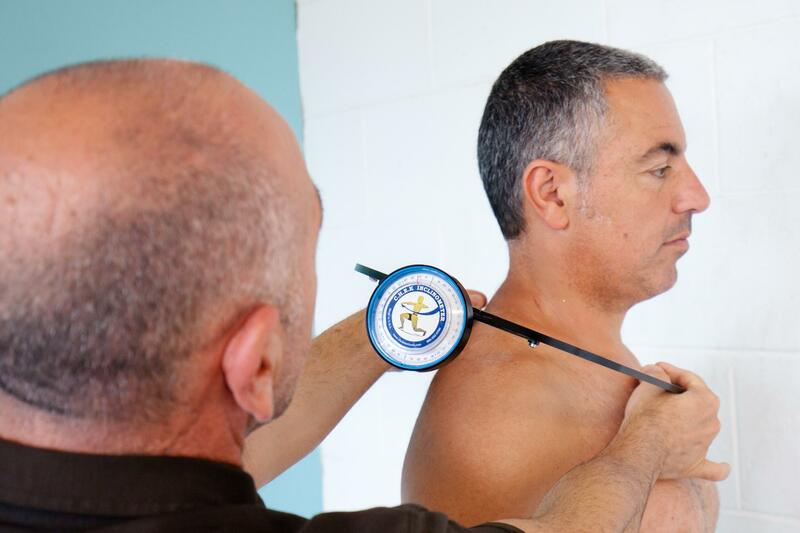 CHEK practitioners conduct biomechanical assessments to help you understand how your body moves. CHEK monitors your progress and helps identify the factors that are contributing to, or slowing down, your progress. CHEK teaches you about your body, how it should move and how to get it moving the right way again. CHEK prescribes programs specifically designed for you across exercise, lifestyle, stress management and nutritional areas. Every client is unique. Your body, mind and lifestyle are your own and that’s why I never apply a one-size-fits-all approach. Using CHEK principles allows me to truly drill down to your individual presentation and then create a custom program that suits you perfectly. A comprehensive assessment, based on the Holistic CHEK principles, revealing the root cause of your pain or dysfunction, detailed information about how your body moves and the current state of your mental wellbeing and lifestyle. Based on your plan, we’ll meet for ongoing sessions to implement the exercise and training elements and for further education on making diet and lifestyle changes. It’s never too late to try to turn that pain or discomfort around. If you’ve tried everything from Physiotherapists to Osteopaths and Chiropractors to no avail; working with me, Tony Muratori, using the Holistic CHEK system will get you the results you want. To book your free, initial consultation, contact me on 0417 218 755 or click here, and let’s turn your life around today!